The Instant Pot has brought a desire to add recipes to the Techie Mamma site. I am not at the point of a lot of experimenting yet but when I do get something working, I really want to document it. Being the tool and plugin junkie that I am I set off to try a whole bunch of plugins and fine one that would work really well. Why do you want a recipe plugin? It seems simple enough to just add the recipe in the content area of the post. Yes you can do that but if you use a proper microdata then search engines and other apps can understand the recipe too. Do you use apps to keep track of your recipes? I use AnyList, with AnyList I can keep track of recipes, shopping lists and do meal plans. It is my mecca for all things cooking. With AnyList I can import recipes from blogs straight into my recipe tracking book. Every now and then though I get a website or blog that it can not import. After a little research I realized the recipe part of their blog post did not have the right schema or formatting for the app to recognize the items. Guys this is so powerful. Add a little plugin and Google can search your recipes so much better, various Recipe management tools can import them with ease and so much more!! So my search for the recipe plugin that would work best continued. There is no shortage of recipe plugins!! Here are some I found. Tasty Recipes - This is a premium paid plugin. It will cost a pretty penny of $79 but is also super rich in features and imports from several other plugins and sites. It is one of the few Recipe plugins that does not offer a free version to try out first. WP Recipe Maker - WP Recipe Maker is a freemium plugin. 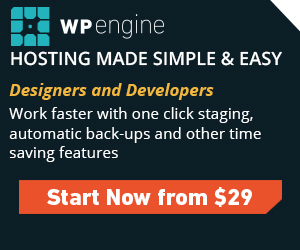 You can download the basic version from WordPress.org but premium features are in a paid add-on. The paid version comes in three tiers starting at $49, $99 and $149. If you have more than one site that price gets even more pricey from $199 to $599 a year. Zip - Seems to be a little newer to the market but has some nice features including ad support and adding your URL at the bottom of print outs to make sure that your site stays with the recipe. Their freemium prices are so far the most reasonable with a two tier level. First tier is $30 and second tier is $150. Cooked - The last plugin in this list but definitely not an exhaustive list. Cooked has several premium features included in it's free version but also has features that are only in pro that other plugins have in the basic free version such as reviews and ratings from your visitors. Their pro version is $49 (reasonable in comparison) and they also have an unlimited site license for $199. It is interesting to see how each of these plugins market their premium versions and the tiers that they decide to do. Personally, I think if I were to go for a paid one I would get WP Tasty as they just have one version that does everything. I do support the WordPress community as well and I appreciate those that have free versions of their plugins. 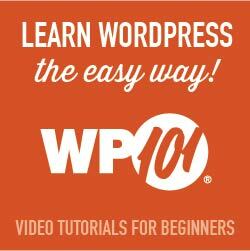 I am starting out with WP Ultimate Recipe. I chose the older version by these developers because it had some of the features that the new plugin still did not have. I have found it easy to use and a great addition to the site in the way it looks and functions. The video below is a little overview on how to use it and if you do decide to use one of these plugins and can't seem to get it to work right don't hesitate to reach out, I would be happy to help.